Inspired by a concept created by Nike Skateboarding designer James Arizumi in 2007, the 'What The' LeBron 11 is set to release tomorrow. Inspired by a concept created by Nike Skateboarding designer James Arizumi in 2007, the 'What The' LeBron 11 is set to release tomorrow. The shoe remixes eight product designs from past LeBron signature shoes, along with 20 different graphics and colors. 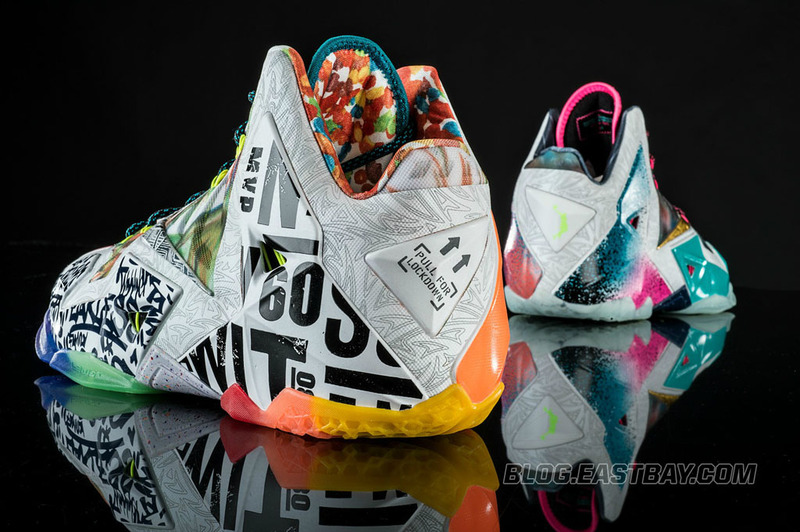 You can see more photos over at Eastbay, who will be selling the shoe for $250 tomorrow morning at 8:00 a.m. EST.